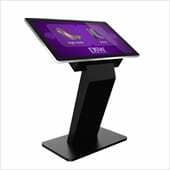 We are pleased to announce the launch of our new freestanding PCAP Touch Screen Kiosks with Dual OS. Available in sizes 43”, 50″ and 55”, the displays combine the best in PCAP Touch Screen technology with a stylish and secure kiosk. Designed for use in commercial applications the touch screen can even be used in portrait orientation for sizes 43” and 50”. The striking design sets this all-in-one solution apart from other Touch Screens on the market both in terms of functionality and aesthetics. Merging the best in Touch Screen technology with stunning aesthetics, ergonomic design and versatile functionality, the screen resembles a giant tablet with the edge to edge glass tempered front and aluminium bezel. There are also rear connections for Wi-Fi, LAN, USB and power. Experience the most versatile commercial touch screen on the market. With both Android and Windows operating systems installed on the integrated PC it cannot be beaten on flexibility; this screen has it all in one convenient package. 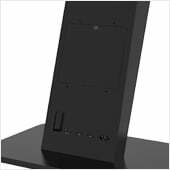 The kiosk is an all-in-one solution with an integrated dual OS PC however if you want to connect an external PC or media player there is a secure and discrete internal locker. You can also extend the connections from your PC to external ports on the rear of the kiosk. State of the art Projected Capacitive interactive technology offers the most responsive and sensitive touch experience on the market while having sleek edge-to-edge glass. 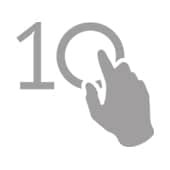 The touch screen features 10 touch points, allowing for a wide variety of applications for multiple users to interact with the screen at the same time. The Touch Screen Kiosk has a commercial grade IPS panel that accurately displays image quality and colour depth with a 178° ultra wide viewing angle. The panel is also optimised for mounting in either landscape or portrait orientation. 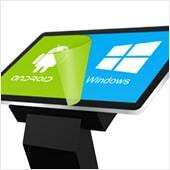 Built with commercial grade panel and components these displays are designed to run 24/7 in constant use; unlike domestic tablets or screens. The panel also has a lifespan of over 70,000 hours of continuous use. 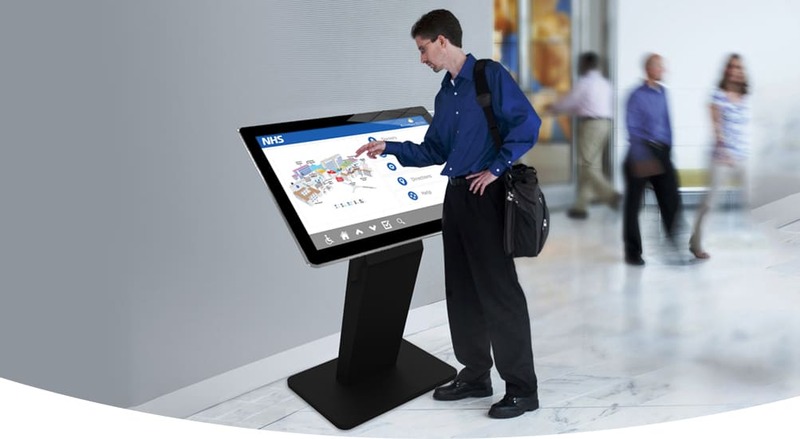 The PCAP Touch Screen Kiosk can be used with our cost effective Touch Screen Content Management System that puts you in control of the content. 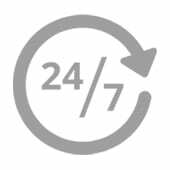 First, you create your custom layouts with our user friendly software that requires no knowledge of coding to use. Then deploy the content from your PC direct to your Touch Screens in a matter of seconds. Then you can let the content do the talking for your brand, company, service or product. We have 43”, 50” and 55” PCAP Touch Screen Kiosks with Dual OS in stock now and available for immediate dispatch. 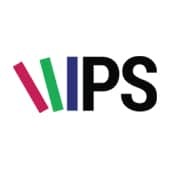 Get in touch today to take advantage of these unique interactive solutions. 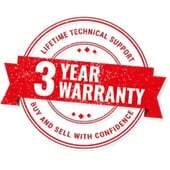 Our PCAP Touch Screen Kiosks with Dual OS, along with all of our other standard product ranges, come with a commercial 3 year warranty and FREE lifetime technical support.